Snow Leopard vodka is made in Poland by Polmos Lublin, one the world’s finest vodka distilleries. For over 100 years Polmos Lublin has been recognised for producing some of the best vodka due to its skill, experience and sophisticated distillation process. Breaking new ground Snow Leopard is the first luxury vodka made from the rare Spelt grain. Affectionately known as “the grandfather of all grains” Spelt was first farmed more than 5000 years ago by the Egyptians. Spelt has a distinct nutty fresh taste. It’s tough husk protects the grain from external pollutants as well as retaining nutrients resulting in a freshness not found in any other grain. Spelt grain is grown with out the use of pesticides and fertilisers, and typically is bought for 4 or 5 times the price of winter wheat or rye grains. Snow Leopard vodka is distilled six times using natural spring water to achieve perfection. Produced in small batches each bottle is of the very highest quality. The brand was awarded a Gold Medal at the 2014 International Spirits Challenge. It also secured a Gold Medal at the Beverage Testing Institute, Chicago, where it was graded by experts as “exceptional”. 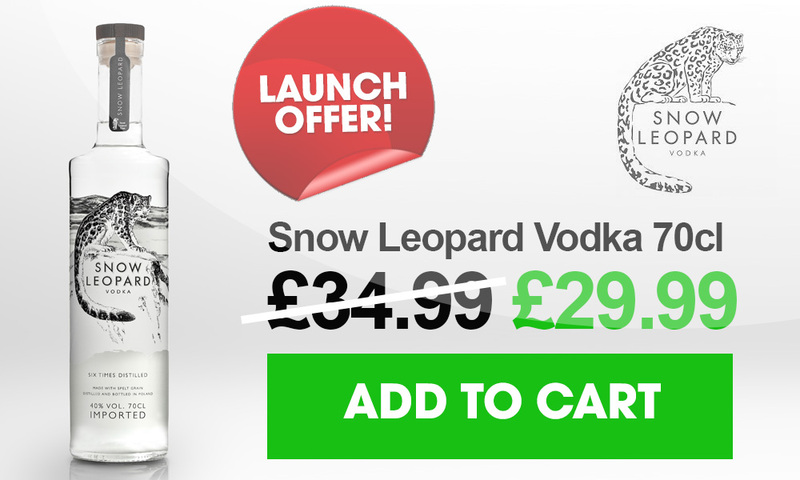 “Snow Leopard, Great vodka for Good”. With only 5,000 snow leopards estimated to be remaining in the wild it is our mission to help save this critically endangered species from extinction and to help improve the livelihoods of the poor herder families who share their home range. 15% of all our profits, and monies raised by our fundraising activities, are given directly to snow leopard conservation projects through the Snow Leopard Trust. Our goal is to raise $1 Million USD for snow leopard conservation and to date we are very proud to say tha we have raised close to $140,000 USD towards safeguarding the snow leopard’s future.